TORONTO -- Realtor Ash Alles wanted to throw an open house to remember. So, he catered a food truck. "Food is what drives people in," said Alles, a real estate agent at Sutton Group Summit Realty in Mississauga, Ont. "We're trying to make it an event, as opposed to a traditional open house." The open house at the townhouse in Burlington, Ont., west of Toronto, last May drew in more than 200 people over four hours on a sunny Sunday afternoon. There were free tacos, music, and people were encouraged to bring their babies and dogs along. Although the eventual buyer wasn't at the open house, billed as a "Cinco de Mayo Neighbourhood Fiesta," Alles still considered the party a success. So much so that since the spring, he has hired a food truck for five other open houses. Alles spends about $5,000 out of pocket each time for the food truck, much higher than the typical $250 a realtor usually spends to run an open house. "I want my listings to stand out. We want buyers to come to our listings. We want to sell our listings," he said. "Whatever we can do to drive traffic is worth doing. Yes you have to spend a little more money but that is what marketing is and that is what is going to get the house sold at the end of the day." 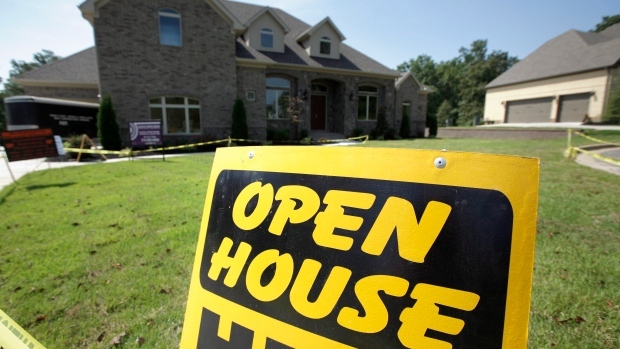 From food trucks to iPad giveaways to private wine and cheese nights, realtors are upping their game in a bid to lure potential homebuyers to an open house, a feat that may become more difficult with real estate markets across the country continuing to show signs of softening. "There has been an evolution of what an open house can look like," says Ryan Hartlen, a Halifax broker who's been in the business for 15 years. "Back in the day, you put a sign out, advertise in the paper and see who shows up." Nowadays, those who attend open houses can expect anything from cookies and charcuterie boards to colouring books for the children to giveaways of foodie baskets. Although the eventual homebuyer may not be the nosy neighbour down the street or the dogwalker who decided to pop in to the open house, most realtors see it as an opportunity to showcase the property to as many people as possible. But if you ask Brett Starke, a sales rep with PSR Brokerage in downtown Toronto, he has a different strategy to running an open house. "I don't do water or coffee or anything like that," said Starke, who specializes in sales of downtown condominiums and homes in west Toronto. "I just do straight information (about the property)." He says it's more important to him to get the right kind of person into a client's open house, one that is serious about the property, rather than aim to attract anybody off the street. "There is a difference between drawing people in and drawing in a buyer," said Starke. To him, a successful open house is getting six to 10 people and being able to give them individual attention and answer all their questions. "We want to spend the right time with the right people," he said. "You're not going to buy a condo or house because someone gave you a $20 bottle of wine, or the people who come for the free food, they're not going to be one ones who buy the house." Starke says agents who employ these "gimmicky" tactics are doing a disservice to their clients, when the extra money spent on the open house could instead be put towards research and marketing directly to the right demographic of buyers. And what about those nosy neighbours often seen at open houses? His tip is to hold a VIP event before the public open house so they don't distract actual potential buyers. "Open houses have almost become like a Saturday or Sunday social event where people think, 'Why not go see beautiful properties in the neighbourhood, get design inspiration and spy on our neighbours?,' he said. "We don't want the tire kickers in there, complaining about things, when the real buyer could be there too."